The designers at The RoomPlace has a soft spot for bistro tables. Elegant, functional, and affordable, they are that “magic solution” for many décor ideas. However, they aren’t for everyone. Take a look at the pros and cons to decide whether a bistro table should be the next addition to your home. Pro: They’re a chic space saver. Bistro tables bring flair and function to a room without eating up a lot of space. A bistro table set is a great choice if you live in a cozy apartment or home where you want beautiful style without feeling cramped. Pro: They are multifunctional. Looking for that perfect place to read or get some work done? Pair it with a book holder or add a Turkish coffee set on top – the bistro table has you covered. 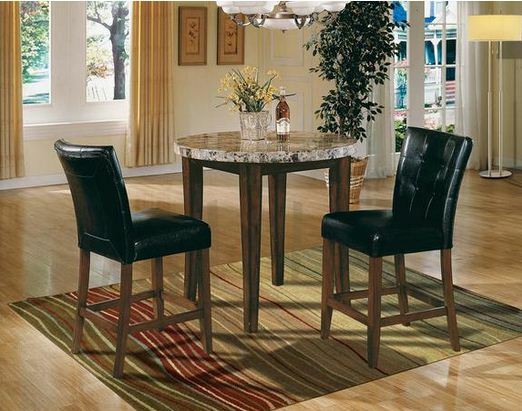 If you’re searching for a furniture piece ideal for intimate meals, envision the Montibello Pub Table in your home. Bistro tables are adaptable, with the right additions they can serve multiple needs. Con: It can only accommodate so many. If you’re planning to invite a dozen guests for dinner, they might not all fit at your bistro table and chairs. While the table provides a space to place dishes or snacks during a larger gathering, it isn’t an ideal seating solution for large parties. Pro: It’s a decorative accent. High dining tables instantly conjure images of Parisian eateries or urban bistros. 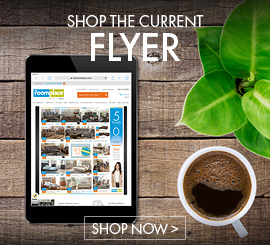 It’s a great way to add function and decorative flair to your space. The Irma Table is a perfect example: It can comfortably seat a family of four, but also has that “stop in your tracks” quality. If you’re in the market for an affordable dining solution, then bistro tables might be the perfect fit for you. 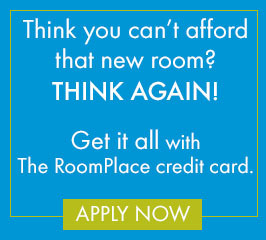 Find your match made in heaven at The RoomPlace today!